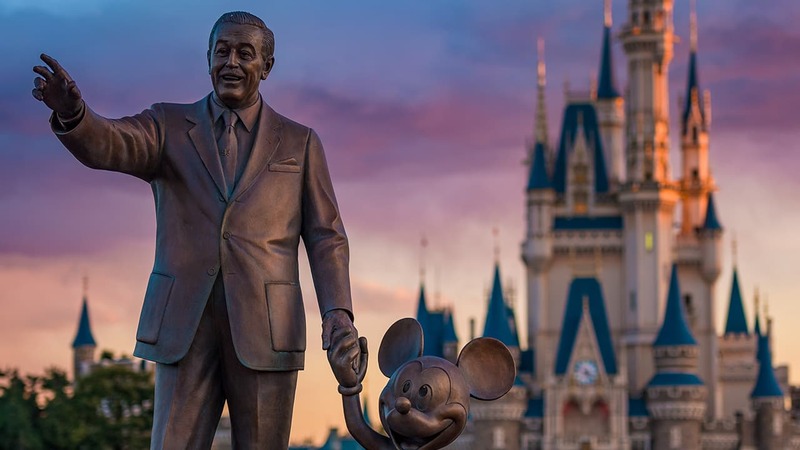 If escaping to grand, turn-of-the-century seaside homes of Martha’s Vineyard or Nantucket mixed with some Disney magic sound like your ideal vacation, then a stay at Disney’s Yacht Club Resort could be the perfect fit. 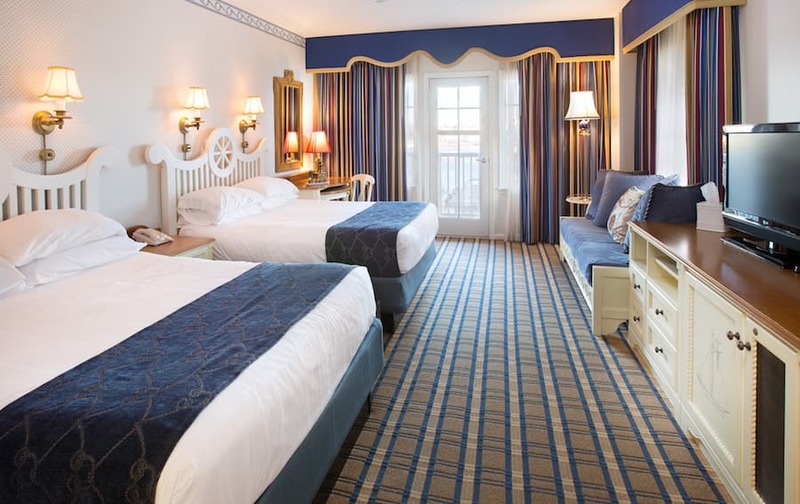 I visited room 4163 to get a taste of what this resort has to offer, and I was in awe as I stepped through the door and was greeted with sweeping views of Crescent Lake and Disney’s BoardWalk, and Epcot just beyond that. 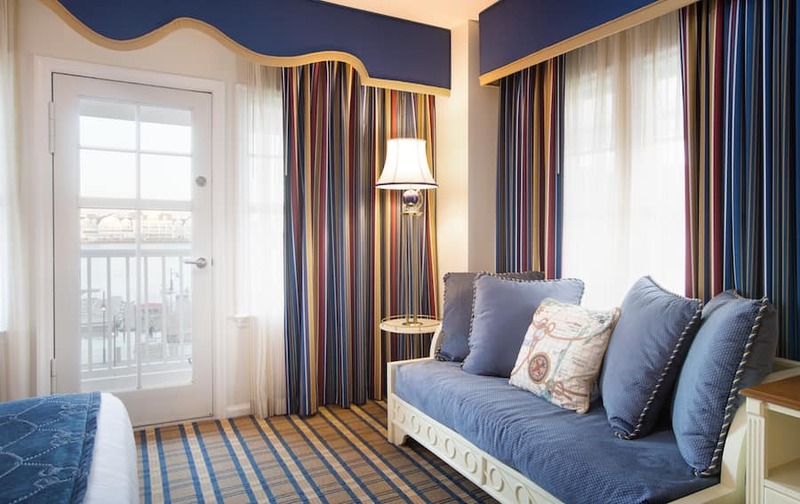 Inside the room feels light and airy with two large windows and a door leading to your own spacious balcony where you can sit back, relax, and unwind as you watch the boats come in on the lake, surrey bikes pedal past and folks stroll by. 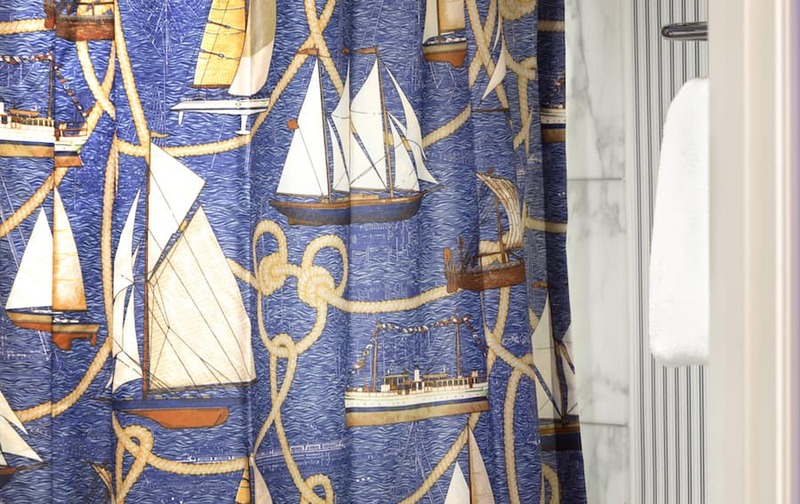 Special details include a seafaring-Mickey Mouse lamp, Mickey-shaped nautical rope knots in the design on the shower curtain and mirrors and more. 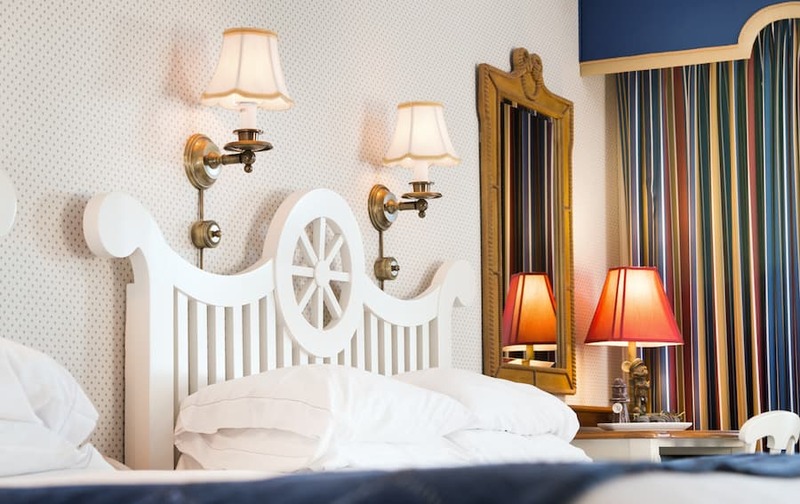 The charming seaside theme carries into the two queen beds and one day bed, with subtle Disney touches woven into the pillows and linens. The view from the balcony gets even better as the sun starts to set, creating picturesque scenes on the lake. After dark, the sky lights up with a perfect view of spectacular fireworks from IllumiNations: Reflections of Earth at Epcot. What a great way to end the day! 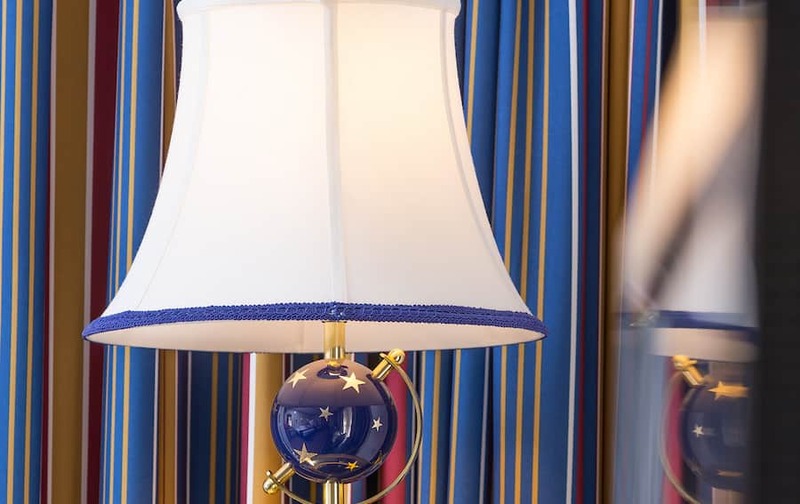 Check out this video from my look inside this room with a view as we go from day into night. This was my absolute favorite resort! The pool is incredible! Don’t worry Ann, I won’t take your room. 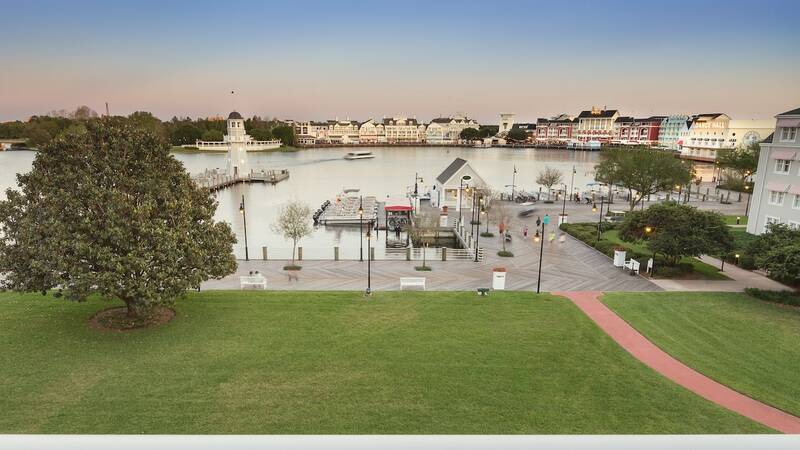 This is a lovely resort… to board a fireworks cruise from. LOL. Sorry, couldn’t resist. It really is a great resort, but when it comes to the food, Grand Floridian beats it hands down. Thanks for the peek Allison. See you all in just a few short weeks! No, no, no! Don’t let the secret out! 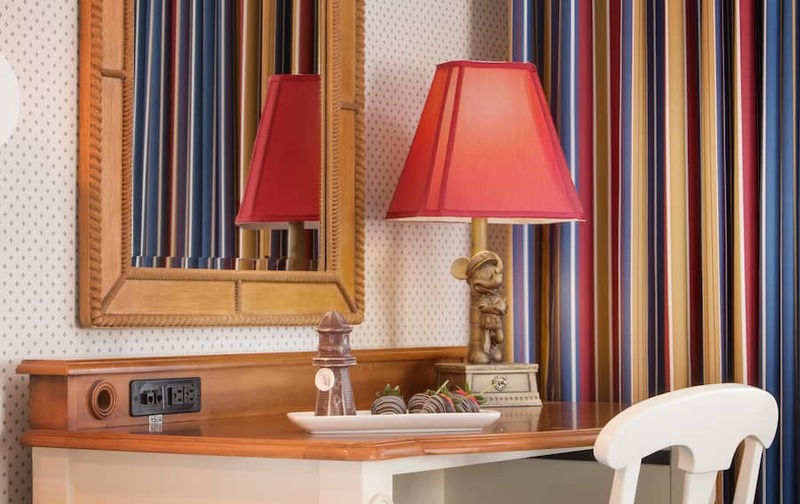 Far and away, The Yacht Club Resort is our favorite, and so is that room. 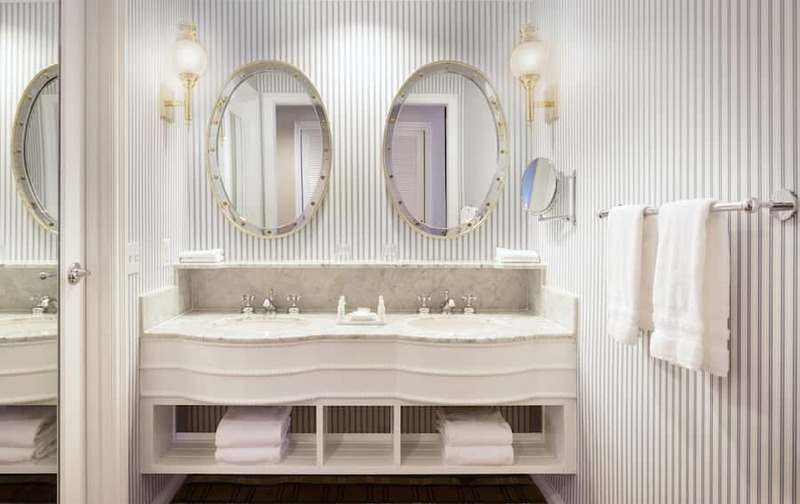 We have stayed at other Disney luxury resorts, but TYC is the best.